Meet Nicole Bush! Nicole is the bar manager at Scott’s Downtown in downtown Gainesville. She has worked at Scott’s for 11 years and loves making signature martini’s at the restaurant; and it shows! Scott’s just won nine Best of Hall County awards from the Gainesville Times; including best martini for the second year in a row. Recently, we caught up with Nicole to find out a little more her favorite cocktails at Scott’s. 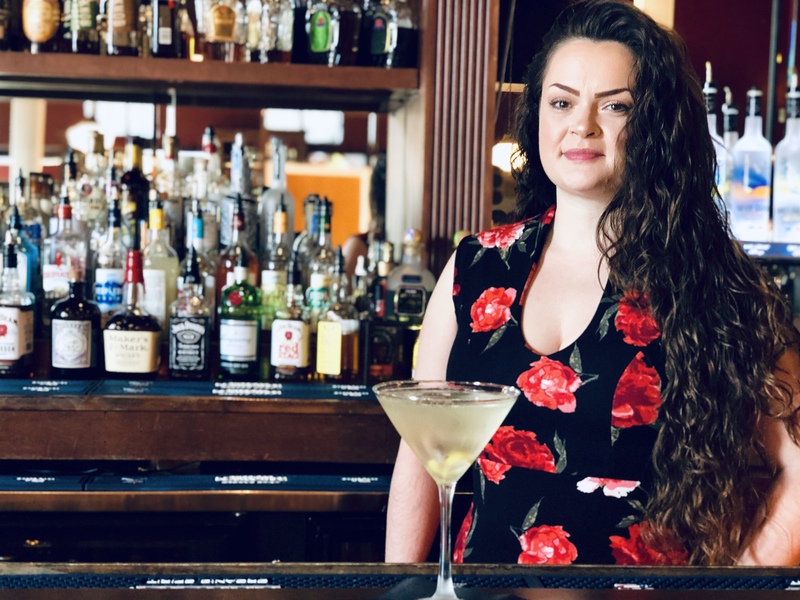 “Our Signature French Pear Martini, is the most popular at Scott’s, it has Grey Goose Pear, a little bit of St. Germain (Elder Flower Liqueur) and Champagne on top,” Nicole said. “I think all martinis can be a good martini, if you just take the time to make the best martini you can each time. I always make sure that every martini I make is prepared exactly how it is supposed to be and is the best and the guest can enjoy it. Other customers favorites at Scott’s include, “…our Kay’s Sparkling Martini, that has our Deep Eddy’s Lemon Vodka, Chambord and then we shake that really hard with some lemon juice and top it off with Champagne. We also have a wonderful Pomegranate Martini with fresh pomegranate juice,” Nicole said. Scott’s on the Square is located at 131 Bradford Street in Gainesville. The Best Bartenders of Hall County is a special social media project by the Abernathy Cochran Real Estate Group. To nominate your favorite bartender email: babernathy@gonorton.com.